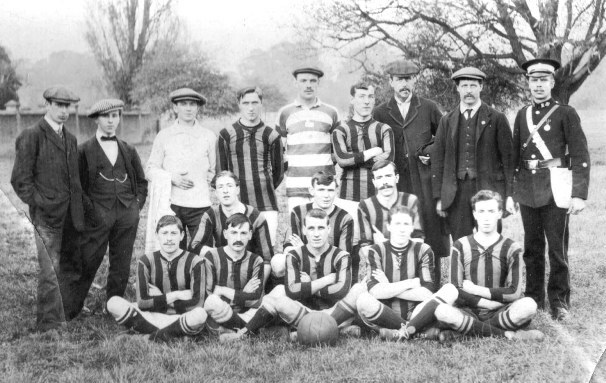 Roger Davis has provided this photo of an un-named, but likely to be Brentford, football team, date estimated 1910-1915. "My uncle George Davis is crouched far left on the middle row." The back row features a range of caps worthy of Gilbert O'Sullivan. Can anyone identify the uniform of the man on the back row, far right? Please contact if you can name the team or its players.